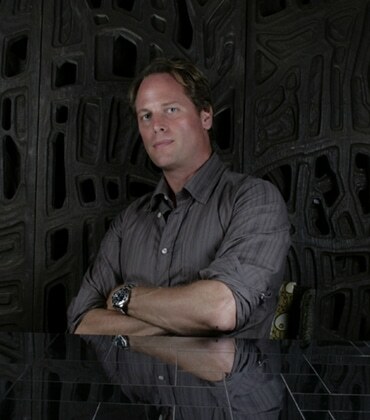 Todd Merrill grew up immersed in the antiques trade, representing the third generation of his family in the business. Though his family’s collecting passion was for eighteenth and nineteenth-century American furniture, at the start of his career, Merrill shifted his focus to the post-war era of American design. During the years that followed World War II, a flourishing of money, creativity, and style in America’s great cities allowed designers to create outstanding decorative furnishings unlike anything seen before. One of the first gallerists to realize the significance of this formerly overlooked period of design, Merrill dramatically increased its popularity. In 2008, the gallery introduced Custom Originals, a line of custom produced upholstered furniture designed by Merrill himself. Merrill’s signature creations reflect his vast experience with twentieth-century design and knowledge of contemporary tastes. In 2008, Rizzoli published Merrill’s Modern Americana: Studio Furniture from High Craft to High Glam, the first ever authoritative examination of the great studio furniture makers and designers who, from 1940 thru the 1990s defined American high style. To celebrate the tenth anniversary, in 2018 Rizzoli published an expanded edition, adding 60 pages to his original book. This survey of the period continues with two massive additional chapters focused on Women Makers and Showrooms. Shortly after the 2008 release of Modern Americana, Merrill launched Studio Contemporary, an exhibition-based program representing an international group of established and emerging contemporary artists. Today, the work of these artists is in high demand among collectors, designers, and curators around the world. With the gallery’s support, these new artists’ works have entered the collections of major private and public patrons and prestigious museums including the Cooper Hewitt National Design Museum in New York; the Museum of Fine Arts in Boston; the Museum of Art and Design in New York; the High Museum in Atlanta; the Victoria and Albert Museum in London; and the Brooklyn Museum in New York.